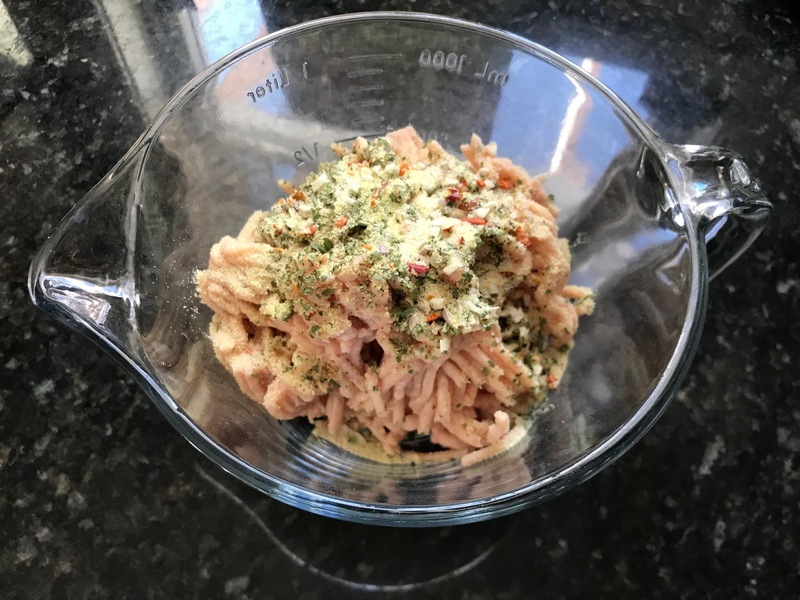 There are very few things that my children actually love eating right now, and that makes cooking really difficult. Now, here’s the thing. When Ryan and I had Spencer, we made a promise to one another. We would never make two separate meals. Meaning, basically, our children get what we get, and they either eat it or don’t. That being said, I occasionally like to spoil my boys, as well, and I enjoy giving them what they want. Lately, that falls into two categories: chicken nuggets or macaroni and cheese. Neither of those is particularly healthy. They love fast food chicken nuggets. I don’t, however, love all the extra crap that’s in them, and while having them as a treat is great every once in a while, I don’t feel comfortable making it a common occurrence. So, I decided to give making them from scratch a try. 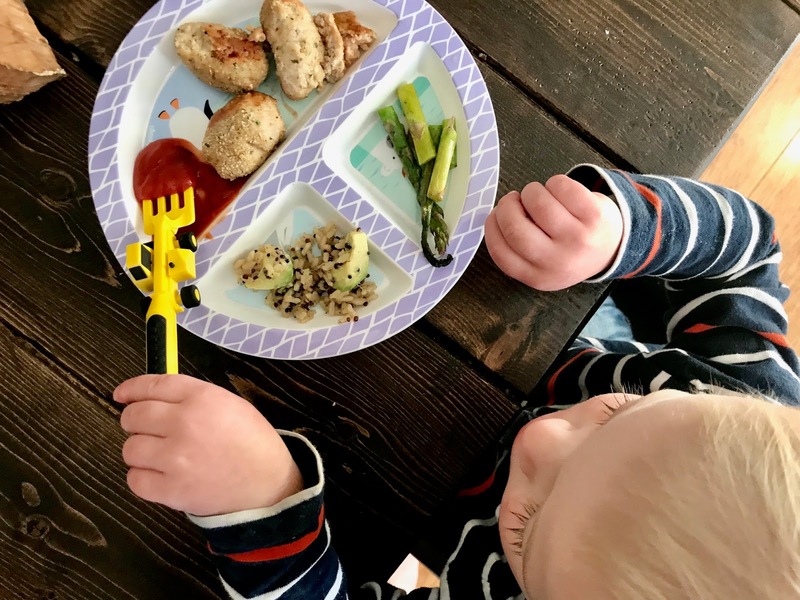 I’ve tried a few times before, but I’ve noticed that chicken strips just don’t give that soft, melt-in-your-mouth texture that the boys love so much. 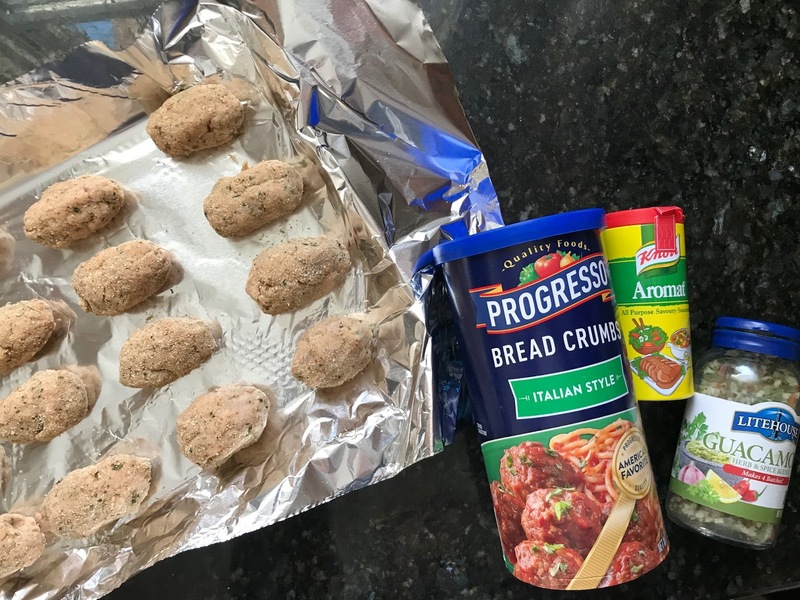 This time, I decided to try ground chicken instead, and what do you know?! The texture was perfect. I’m not a chef, by any stretch of the imagination, and my food photography leaves more than a little to be desired. However, these were such a hit with my boys (Ryan included), that I had to share the recipe. For all intents and purposes, they’re basically two ingredients plus spices. My boys don’t like heat, so I stuck to a few staples and used Aromat, which I buy on Amazon here, and Litehouse Guacamole seasonings. These two together offered a hint of a ranch taste without the kick my boys dislike. If I were just making them for me, I would’ve added some paprika or crushed red pepper, but you really can’t go wrong. Put all your ingredients in a bowl, but reserve 1/2 of the bread crumbs in a second dish. Mix the chicken, spice, and breadcrumb mixture thoroughly, then form them. Mine ended up looking like little tots, but they were tasty nonetheless! Once formed, roll them in the remaining breadcrumbs and arrange them evenly on your baking sheet. Simply heat your oven to 375 degrees, then bake them for 15-18 minutes. This recipe made 16 good-sized nuggets, and I flipped them once halfway for a good, even brown on both sides. My boys loved them with ketchup, but Ryan dipped them in ranch dressing, and that was my preferred topping, as well. The best part of this recipe? 4 good-sized nuggets are only 2 Weight Watchers Freestyle points, and they’re filling, to boot! Do you make chicken nuggets at home? I’d love to hear how you do it!